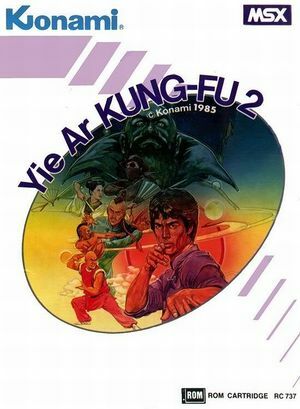 In Yie-Gah-kōtei no Gyakushū: Yie Ar Kung-Fu 2 Lee Young is a young martial arts master whose son to a brave warrior who has rid China of the Chop Suey Gang. However, one member survived and declared himself Emperor Yie-Gah. Now, like his father, Lee Young has to rid China of Yie-Gah and his allies once and for all. The graph below charts the compatibility with Yie-Gah-kōtei no Gyakushū: Yie Ar Kung-Fu 2 since Dolphin's 2.0 release, listing revisions only where a compatibility change occurred. This page was last edited on 31 December 2017, at 05:24.